Our good friend Chris Tsanjoures from Rational Acoustics will be in Baton Rouge to teach his Smaart Basics class at the PreSonus world headquarters on August 10 and 11. The class is open to the public – so if you’ve been wanting to step up your audio game using the full Smaart v.7 software – this is an opportunity that you do not want to miss. For the uninitiated, Smaart is a dual-channel, FFT-based software platform we use in our work as audio engineers to view the frequency content of signals or measure the response of our loudspeaker systems. If you’ve used the RM or StudioLive software control applications, you’ve already had a glimpse at some very basic Smaart Measurement Technology features – now is your chance to start using Smaart v.7 like a Pro! The Smaart Basics class curriculum covers the configuration, operation, and fundamental concepts of RTA, Spectrograph, Transfer Function and Impulse Response measurements. At the completion of the course, each attendee will have been given a functional knowledge of how Smaart operates as a tool and how to use it to perform essential system engineering tasks such as loudspeaker equalization, delay systems alignment, subwoofer alignment/arraying, multi-position live averaging and much much more. Oh, and in true PreSonus tradition, we’ll see to it that every attendee will be well-fed. 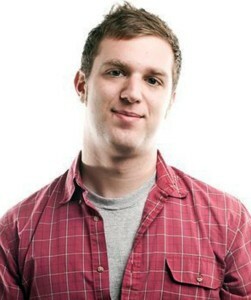 About the Instructor: Chris Tsanjoures is a Product Manager at Rational Acoustics. 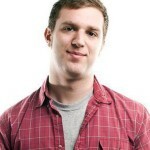 This puts him in a unique position to split his time between the development of the Smaart Platform, and training folks on the use and theory behind it. Chris holds a BA in Music Production & Technology from the Hartt School of Music and is an active freelance sound engineer for various production companies throughout the North East. Some of our fine friends from Rational Acoustics are coming down to Baton Rouge for PreSonuSphere, and they’re arriving a few days early. It’s good that they’ll have a little extra time to see the sights and sniff the smells, but the lead-up time to #PreSonuSphere isn’t all sensory indulgence. These guys are up to something, and you’re invited to take part. And if you choose to take part, we’ll get you into PreSonuSphere for FREE. What the heck. While we may be known for our hospitality down thisaway, fact is the Rational Acoustics team are no strangers to conviviality. On Oct. 24, they’ll make an effort to top our no-longer-so-secret Jambalaya recipe—by serving y’all up a steaming-hot kettle of garlic & cumin-seasoned knowledge. Specifically, this is an opportunity for you to learn all about Smaart v.7 Di straight from the guys who invented it—horse’s mouth and whatnot. Smaart V.7 DI is a simplified, streamlined, two-channel version of the standard Smaart v.7 analysis software—the ideal bridge between the limited features in the VSL Wizards, and the full-blown V.7 program. This eight-hour intensive course will teach you all there is to know about Smaart v.7 Di from software installation to Spectrum & Transfer Function Measurements. Here’s the official course overview, taken from this PDF, which contains more details. So, since you’re going to be in town for PreSonuSphere anyhow, you really ought to come out to this thing. Oct 24, 2013—9 a.m. to around 5 p.m. Class breaks at 10:15 a.m., noon, and 3:15 p.m.
Bring your laptop and thinking cap. If you sign up for this class, and purchase a license of Smaart v.7 Di at checkout, you will receive roughly a 30 % discount on the license ($195). Each license contains two installations, which can be installed on two different machines, mac or PC. Louisiana’s own Royal Teeth recently had an incredible trip on the road this summer, and they brought their StudioLive with them… as well as some video cameras, iPhones, and positive attitudes. • Fan acquisition via Nimbit’s FanCheck.In. Here’s a whole slew of six videos featuring Royal Teeth’s experience on the road with their StudioLive, its Smaart integration, QMix, and Nimbit. Big thanks to Royal Teeth for their support of the PreSonus brand; glad to have you kind folks on board! PreSonus LIVE—Shoot the Club is now up on YouTube! In this episode of PreSonus LIVE, Justin showcases the PRM1 measurement microphone and the Smaart Wizard functionality that is included in the StudioLive 16.4.2 and 24.4.2 mixers. Learn how to use Smaart Spectra to fine tune your live rig to your environment. We also take a look at ringing out your stage monitors using Smaart features. 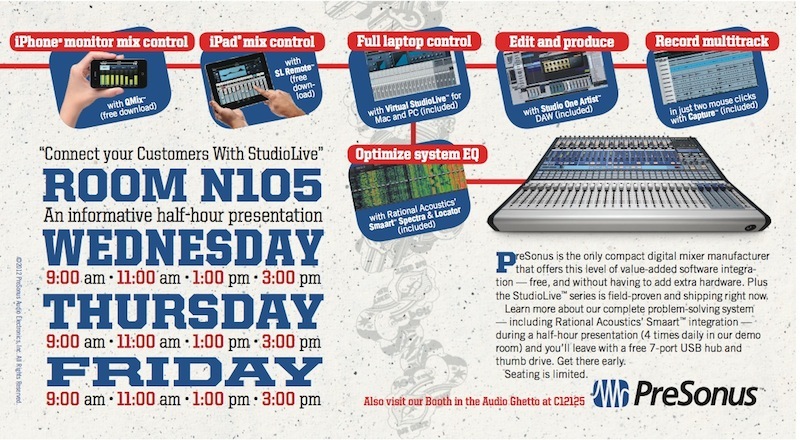 Join us for PreSonus LIVE on Thursday! 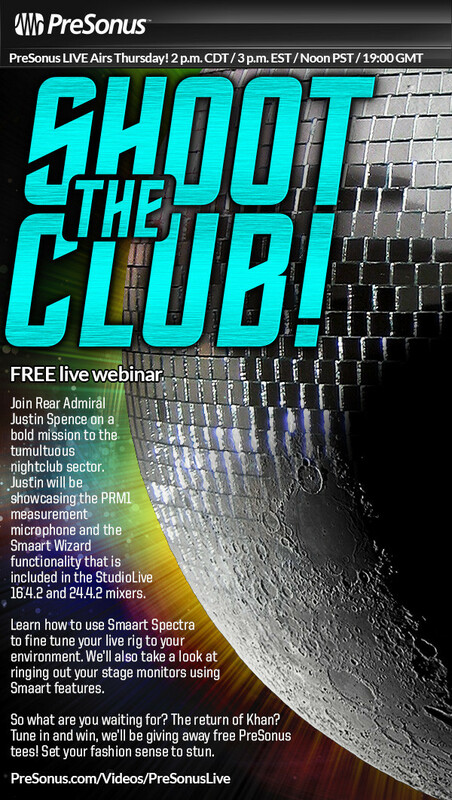 Justin will be showcasing the PRM1 measurement microphone and the Smaart Wizard functionality that is included in the StudioLive 16.4.2 and 24.4.2 mixers. Learn how to use Smaart Spectra to fine tune your live rig to your environment. We’ll also take a look at ringing out your stage monitors using Smaart features. Marc Nutter, VP at Sonic Sense shares a couple techniques for controlling stage monitor feedback using the PreSonus Studiolive 24.4.2 and Rational Acoustics Smaart. Thanks guys! FIVE New Smaart Videos Featuring John Mills! Check it out! Paul just wrapped up this great set of five videos describing the latest and greatest Rational Acoustics technologies that can now be added for FREE to the StudioLive 24.4.2 or 16.4.2 mixer that you already own… or the one you’re thinking about getting. Try each of these features once, and you’ll wonder how you ever lived without them. Rational Acoustics’ highly regarded Smaart Measurement Technology™ is now available in PreSonus’ Virtual StudioLive™ remote-control/editor/librarian software for StudioLive™ mixers. These astonishing technologies are now available FREE from PreSonus.Com! Get the Smaart Wizards and shoot the room! To add these free features to your StudioLive mixer, grab the latest version of Universal Control, with all its wizardly goodness. Click here for details on this significant, free upgrade. PreSonus Universal Control 1.7, which will be released soon, will add three Smaart® System Analysis Wizards to Virtual StudioLive—for free! 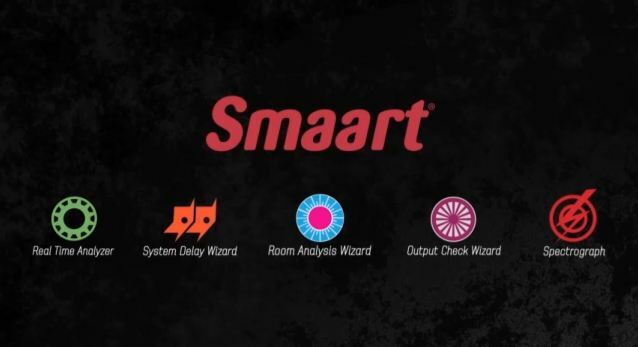 These System Analysis Wizards include a Smaart Room Analysis Wizard, Smaart Output Check Wizard, and Smaart System Delay Wizard for StudioLive™ 24.4.2 and 16.4.2 consoles. Of course, you still get the Smaart Spectragraph and Smaart Real Time Analyzer (RTA) that were added to VSL earlier this year, and they work with all three StudioLive models. These Smaart tools enable you to vastly improve the quality of your sound system—and your effectiveness as a live-sound engineer! You can even interface with them via StudioLive Remote on your iPad. With these tools in your arsenal, you should probably start charging more for gigs. Just sayin’.